Paramount Pictures and IMAX Corporation has announced that “Jack Reacher: Never Go Back,” the latest film in the Jack Reacher franchise starring Tom Cruise, will be digitally re-mastered into the immersive IMAX® format and will be released into IMAX® theatres in the Philippines on October 19th. "IMAX and Paramount Pictures, along with such esteemed filmmakers as Michael Bay, Tom Cruise and the Bad Robot team, together have achieved incredible global box office success over the years," said Greg Foster, Senior Executive Vice President, IMAX Corp. and CEO of IMAX Entertainment, in a previous statement. "With this new multi-picture agreement we are excited to grow that tradition of bringing heart-pounding, awe-inspiring entertainment to IMAX audiences around the world and particularly excited to do so with these long-standing friends and partners." "Paramount is pleased to partner with its friends at IMAX to present an exciting and diverse lineup of films," said Rob Moore, Vice Chairman, Paramount Pictures, in a previous statement. "Filled with thrilling action sequences and spectacular effects, these movies in the immersive IMAX format will captivate audiences around the world." 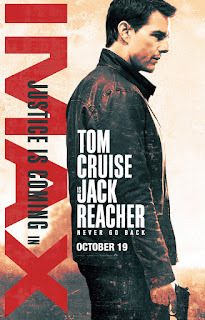 The IMAX release of “Jack Reacher: Never Go Back” will be digitally re-mastered into the image and sound quality of The IMAX Experience® with proprietary IMAX DMR® (Digital Re-mastering) technology. The crystal-clear images, coupled with IMAX's customized theatre geometry and powerful digital audio, create a unique environment that will make audiences feel as if they are in the movie. Jack Reacher (Tom Cruise) returns with his particular brand of justice in the highly anticipated sequel “Jack Reacher: Never Go Back.” When Army Major Susan Turner (Cobie Smulders), who heads Reacher’s old investigative unit, is arrested for Treason, Reacher will stop at nothing to prove her innocence and to uncover the truth behind a major government conspiracy involving soldiers who are being killed. Based upon “Jack Reacher: Never Go Back,” author Lee Child’s 18th novel in the best-selling Jack Reacher series, that has seen 100 million books sold worldwide. 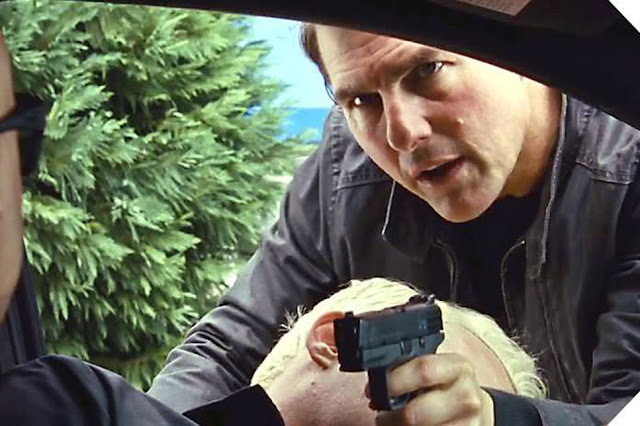 “Jack Reacher: Never Go Back” is distributed by United International Pictures through Columbia Pictures.